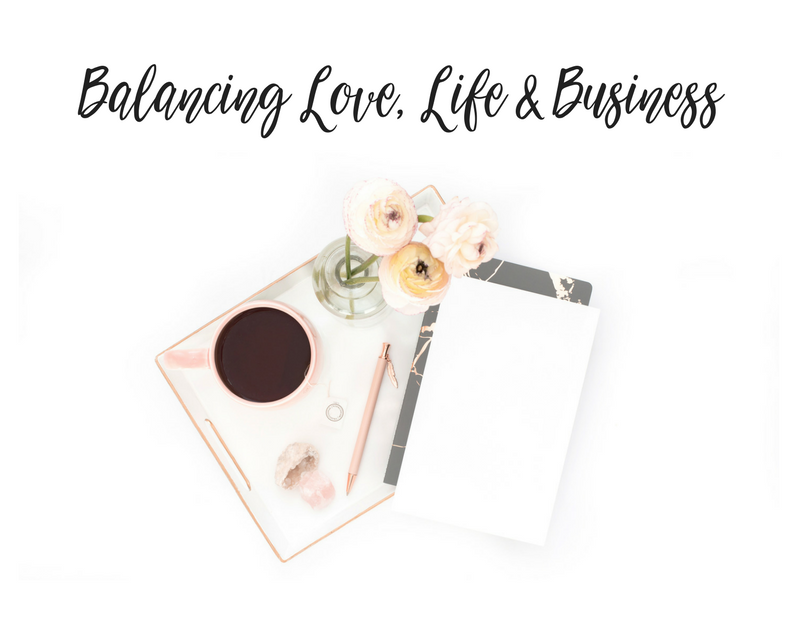 Put to the test… tonight I’ve been asked to write about how best to balance love, life and a career, especially for those highly ambitious types to whom time is a myth. The question resonated quite powerfully with me. For years it’s something I’ve struggled with; always feeling like the one sacrificing relationships, nights out, holidays and family in a bid to climb higher and higher in my entrepreneurial pursuits. That said, this last few years I have noticed a change. I’ve taken 9 holidays in the last 2 years and intend to take 4 more trips this year. I suddenly have something that resembles a social life, a relationship that’s actually sticking, a circle of friends who I see more than once a year, and perhaps, dare I say it… balance in my life? Perhaps not perfect balance admittedly because I’m still working like a lunatic but in that respect I am completely in love with what I do and that’s a perfectly rewarding relationship in itself. So come on H, what’s the secret? When I look back at the steps I’ve taken in business to get me to this point, it seems quite obvious which major changes triggered the tip of the scale… automation and delegation. Only a fool trades time for money. Entrepreneurs and freelancers who try to do everything themselves will eventually hit a ceiling. We are only human, there’s only so much we can do in the 24 hours we are blessed with every day. Man-power and ‘auto-power’ help us leverage our time. And that’s the key. Do you want to know what the absolute BEST use of your time is?! Making money whilst you sleep. It’s pure genius. What’s more, it’s perfectly possible, and one of the most proactive steps towards creating a balanced life you can make. My favourite automation tool for leveraging my time is Zapier. Check it out, there’s not much that little tool can’t do. It forces all sorts of different softwares to talk to each other whilst you’re snoozing to ensure your sales, marketing and accounts are done for you, plus goodness knows what else, I haven’t tried all the options yet there’s so many! As for love, well unfortunately, there’s not a zap for that, but there are some lessons to be learned. Probably one of the most popular images on Instagram today is the one that quotes “Behind every strong man stands a strong woman”, and vice versa, “Every Queen needs a King”, plus the overdone “Be A Boss, Date A Boss, Build An Empire”. The point of all 3 quotes is the same though. In business, as in life, our choice of partner can make or break us. Trying to maintain a healthy partnership whilst climbing up that career ladder can seem crippling, if not impossible at times. The key is understanding. And it should apply to all relationships but those who lead exceptionally self-driven busy lives often fall victim to the ‘I don’t have time for a relationship’ card as it’s dealt to them, and fail to find the time, to find the understanding. Our life partners should be supportive, encouraging, tolerant, forgiving… well actually he should be Prince flippin’ Charming because we work damn hard enough, it’s the least we deserve! Unfortunately Prince Charming lives inside a children’s book and the rest of the world is, well, human. No one is perfect, and as entrepreneurs it is unfair of us to apply the same fierce and unforgiving expectations on our partners as we do on our profit margins and balance sheets. Pushing harder and demanding more doesn’t always have the same responsive effect on humans as it does on bank balances, and we are all capable of losing a little sanity and/or humanity after consistently gruelling days in the office. Understanding is required. Not just from them, but from us too. Understand each others needs, points of views and beliefs, whether you agree with them or not, an attempt to understand is a step in the right direction to a more harmonious relationship. A partner who can’t understand your obsession as passion is perhaps not the right one for you right now though. On the flip side, we are a difficult species to understand and we must always be aware of that. Just because we’re ‘successful’ doesn’t mean we are always right. Funny one that because what we do is our life, right? Wrong. It’s a huge part of who we are and what we do, yes, but doing is not always being, and as a human ‘being’, sometimes, we need to just BE. Forcing yourself out of the office, or the studio, can be heartbreakingly difficult. I’m currently experiencing guilt writing this blog post at 10.30pm on a Friday night in a completely empty building (staff and clients all gone to have a life) because I know the cat will be stomping around the kitchen at home meowing for food. But I’m obsessed, I’m stuck to my chair like super glue, I can’t leave until I’ve delivered my writing! Having a life is just as important as building a life. It’s not always about the destination, sometimes we have to enjoy the journey. I schedule ‘life’ into my weekly plan now in order to force myself to get out of the office and experience something other than these four walls. I go to the gym twice a week, I try to have at least one social engagement, even if it’s just coffee with a friend or playtime with the cat. I bought myself a huge pile of books for Christmas and try commit to reading every day just to give my brain the opportunity to switch off from business for an hour. Once or twice a month I have a big night out and let my hair down with my other half and friends. I force myself to do it but for good reason. Not so long ago I found myself miserable, unmotivated, unproductive and snapping at my other half constantly. I didn’t even know what was wrong until I almost hit breaking point and realised I’d had no outlet for ‘Harriette’ for several months. We need time to be ourselves. We wear so many masks as entrepreneurs, always providing answers to solutions and filling the shoes of whichever personality is required to complete certain tasks, that we can quite often lose the essence of who we really are underneath it all. I’d forgotten what I love to do… the things that make me who I am! Silly things like getting my nails done, staying in with pizza and a crap film, getting dressed up for a girly night out, staying up late making music in the studio, going to the gym, taking dance classes, planning holidays and trips away, window shopping for furniture, shoe shopping (actually purchasing not just dreaming), meeting new people, sharing my passion, and just catching up with friends. They all seem so small and trivial individually but without them, what’s left? As a freelancer / entrepreneur / career-driven menace, you’ve likely invested a lot of time and money into what you do. If you’re searching for balance in your life dare I suggest you may have forgotten to invest in something a little more important? Plants, animals, babies, even the universe, cannot grow without nourishment. Everything you can possibly imagine, need or desire, is already inside of you. Just as forests can grow from a single seed, you can design and build the life of your choosing, by investing in yourself. Now what was it you wanted more of? Love, life or business? Whatever you desire most is what you will get.